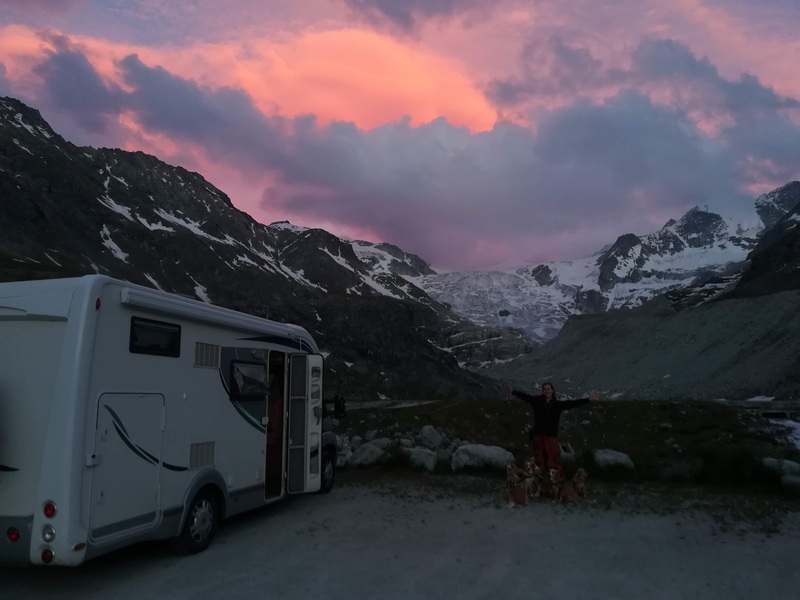 Having completed an almost 2500km journey from the desertscape of Cabo de Gata, taking in beaches, lush valleys and rolling farmlands in Spain, pausing in the snow-capped Pyrenees, racing through the diverse Departments of France and even meeting friends in Brussels, it felt like a huge relief to arrive tired but joyful in Holland last week. Although our odyssey through Europe this past 10 months had been a very personal experience in many ways, teaching us a lot about ourselves and each other, there was also a big sense of achievement within us as this latest leg of our journey came to a close. We had made it, survived, thrived and grown through a vast range of adventures and memories that will stay with us for many years. After a very brief visit with Esther's grandma (Oma) in Wateringen late on Monday night we finally bought “Homer” to a well earned rest in the Kijkduin Vakantie Park where we would be staying for our final week outside of the UK with Esther's parents. After a brief greeting, delivering some tasty organic food presents we had collected en route it was time to fall into the spacious bed on offer and start recovering from our uncharacteristically long journey. We had enjoyed the drive at time, but we weren't used to such long days behind the wheel after spending most of the year making short journeys from valley to valley. During our long drive we had begun to formulate plans to spend our time in Holland taking stock of our adventure and putting some outline plans in place for our return to the UK, including visits to friends and family alongside jobs necessary to hopefully see us setting off again to the mountains of Europe before summer returned. However, as has so often been the case on our adventures, plans and reality did not quite match up. The first few days of our time in Holland just seemed to run away with us in a blur of activity, family visits, cooking meals, trips to the shops etc. For example, we were especially keen to squeeze in a Wednesday morning ride into the centre of Den Haag to visit the Organic market that we had discovered during our time in Holland last June and although the weather was bitterly cold it felt so good to be back again and be remembered by the traders we had gotten to know almost 9 months beforehand. Esther also made a trip with her mum on Thursday to her home town in Holland, Nederhorst Den Berg, to see one of her family's close friends, Tante (aunt) Tilly, who had at 94 hadn't been feeling well and was very keen to see Esther and her mum again. In fact, as the weekend approached, we realised we had barely had a spare moment to send a single email or make a phone call planning our return. There was one priority, however, that we were not prepared to compromise on and that was our daily visits to Oma. Making time each day to cycle through the pleasant and peaceful parks between Kijkduin and Wateringen past the flocks of moorhens preparing to nest before sharing a cup of tea with Oma, maybe a light lunch or dinner and perhaps even with a small game as well was, as always, one of the highlights of our visit. It is always such peaceful idyllic time that we both love to share so much. Saturday was a special treat for Oma when Esther's mum arranged for her to come and visit with us all at the beach in Kijkduin. Sharing a hearty meal altogether, followed by a game of Finnish skittles and a stroll to the beach bought back lots of fond memories of previous visits and made some new ones as well. As our final few days in Holland slipped away our number one priority was making the most of our brief time with Esther's parents and Oma, before our busy time in the UK began. With Esther's parents leaving on Sunday lunchtime we had just 48 hours left to get our belongings back together again, clean and tidy the house in Kijkduin, reload the motorhome and share a few final happy times with Esther's grandma as well as get a few practicals for her done too like shopping and preparing meals etc. Sadly the time raced away all too fast. Before we knew it the last few minutes were ticking away before it was time to begin our final drive on the right-hand side of the road towards the Ijmuiden ferry port for the 17 hour sailing that would float us back to Newcastle. It was, as always, an emotional goodbye. It was a drizzly grey afternoon as we drove the hour long journey to the ferry, which went remarkably smoothly, and in no time at all we were parked beneath the blue hull of the DFDS ferry that would carry us back to Britain. As we sat waiting to board it was with mixed emotions. Excitement at the friends and family who awaited us in the UK coupled with sadness that this first part of our adventure was over, all added to a big dose of nervousness at whether we would be able to realise our dream of travelling for a while longer.